Here, we would like to recommend you to install AOMEI OneKey Recovery on your notebooks. Why need it? Because backup is an important thing but many of us don’t have many time to do it. Backup system is the basic operation. With the help of AOMEI OneKey Recovery, you can create a system backup quickly. When comes to restore, press one key will help you make your machine to normal state. Most brand computers have built-in one key recovery programs. But the reality is that most users’ are DIY machines. For lazy man, they need third-party one click recovery tool to protect their system data. Well-known software company – AOMEI’s product – AOMEI OneKey Recovery is an ideal tool. What’s more, some built-in backup programs have limitations. 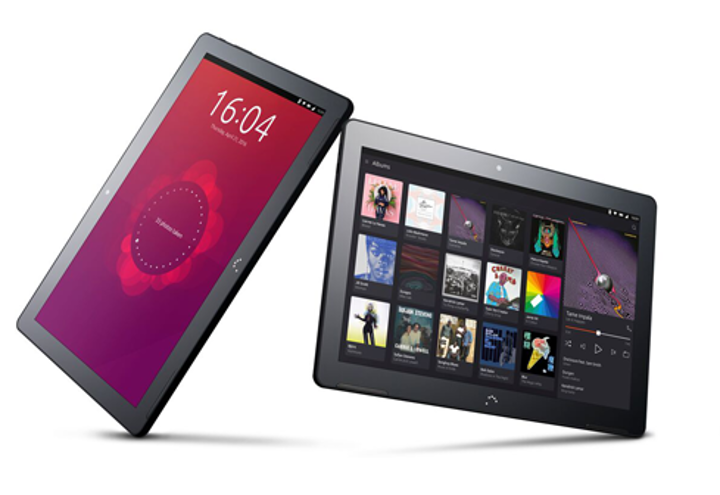 For example, re-install the system or re-partition the drive, default programs may not work well. So, brand computers still can try AOMEI OneKey Recovery especially laptops. 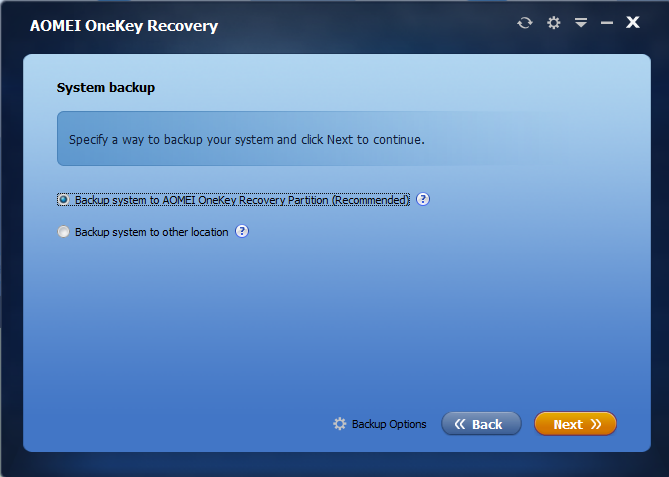 AOMEI OneKey Recovery is an excellent one key recovery software, it has free and paid edition. 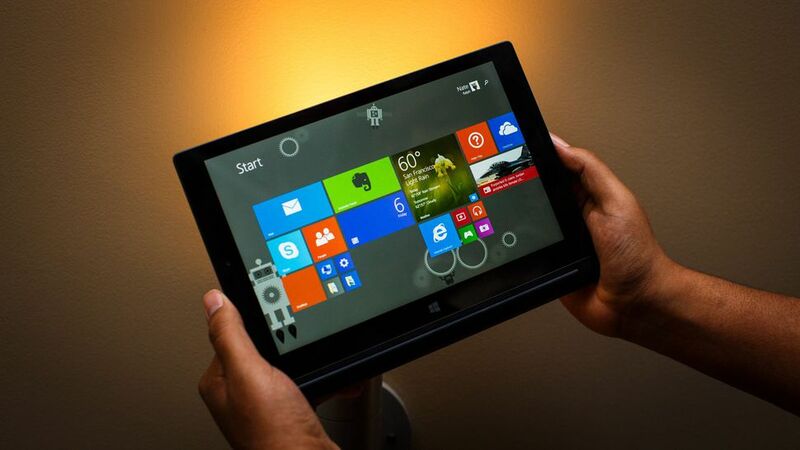 The the advanced professional Edition unlocks all features, it is enough for personal use. Backup system to other location: the place depends on you, thus you can save volume of factory partition. Change the compression level of the backup: save space of hard disk. Enable encryption for the backup: high security. Now you understand, AOMEI OneKey Recovery Professional has more choices and provides more selections than the free edition. However, if your system is Windows Server, you should choose higher edition of AOMEI OneKey Recovery Professional – Family Pack. If you are looking for business use, you can try AOMEI OneKey Recovery Technician, which allows to installed on unlimited PCs in your company or lab. I think the prices is reasonable. $29.96 for AOMEI OneKey Recovery Professional. $99 for AOMEI OneKey Recovery Family Pack. $499 for AOMEI OneKey Recovery Technician supports lifetime free upgrade. $999 for AOMEI OneKey Recovery Customization if you would like to customize logo UI and rebrand. AOMEI OneKey Recovery Professional’s main interface is clear and cool. Left is backup button, right is recovery button. Click Backup to go. Two ways wait for you choosing. After chose done, it will start to backup. When you plan to recover, you can click the right recovery button to do it in normal environment. If crash or disaster happens, you could press “F11” (default) or “A” key when your computer starts up to enter into Windows PE environment, and then automatically launch AOMEI OneKey Recovery. In my view, AOMEI OneKey Recovery Professional is an useful and simple backup software for us. I like it very much. It always works well and saves many times for me. When you find that AOMEI OneKey Recovery free edition can’t satisfy your needs, you’d better buy a Professional one like me.